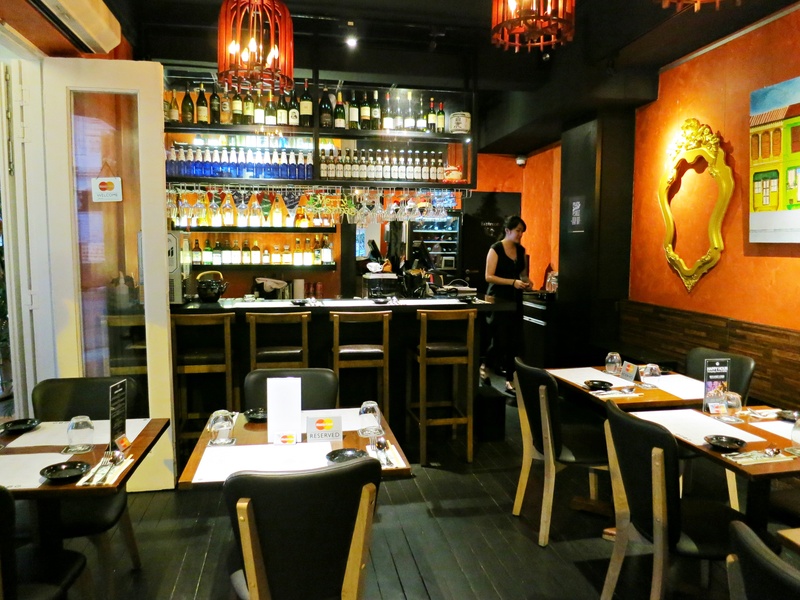 BOCA opened in January 2015 and is probably the first authentic Portuguese restaurant here in Singapore. The restaurant is owned by a group of Portuguese and helmed by two young (and good-looking) Portuguese chefs Luca and Francisco. The two chefs who had graduated from the renowned Estoril Higher Institute for Tourism and Hotel Studies in Lisbon, Portugal, have 10 years of cooking experience under their belts. Thus, you can expect truly classic and home-style Portuguese dishes here. BOCA is nestled in a three-storey shophouse and each of the floors has their own names and “characters”. The first floor features bar seating by the open kitchen and is called Pesticos which means ‘small bites’. The second floor is the main dining area and its called BOCA, which means ‘mouth’. The top floor is still undergoing renovations but it is meant to be a wine cellar and it is called Adega. As the name suggests, we dined on the second floor, but the lighting was so much better on the first floor. The first thing you will notice about the interior are the ceramic black swallows adorning the walls. There are a total of 700 of these birds and they are famous for their migratory journey to Portugal every spring where they nest with their life-long companions. The decor of this restaurant was carefully curated and many of the fixtures were specially imported from Portugal. Hopping onto the Korean dessert bandwagon, I made my way down to Banana Tree yesterday with my mum and a good friend. The dessert shop opened just three days ago and is located about five to ten minutes’ walk from Outrum MRT station. The place was packed! There was a queue for tables and a queue to order. We waited about an hour for our desserts to arrive. I was very tempted to tell the staff to stop taking orders and concentrate on pending orders because even as we were waiting so long for our food to arrive, they were still taking orders. However, it was difficult to be pissed off because the proprietor was so sweet and she kept smiling. It also helped that the desserts were so lovely! With a name like Latteria Mozzarella Bar, I expected mozzarella to be a central ingredient in every dish, kind of like Mad for Garlic. However, the namesake was only evident in the first course. 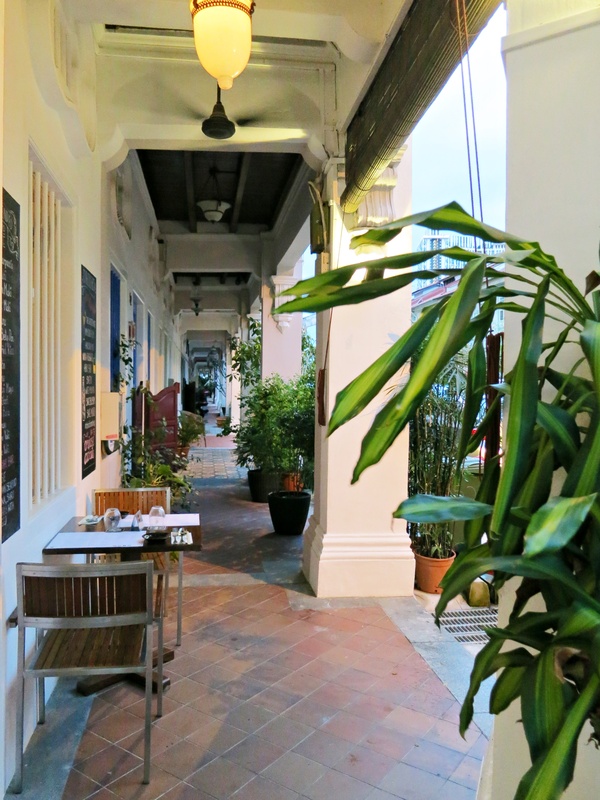 The restaurant is located in a picturesque lane, lined with trees and colourful shophouses. I can imagine people coming here to take their #ootd shots. I can also see why people call Singapore ‘A Garden City’. You can opt for indoor or outdoor seating. Given the extremely hot and humid weather, we decided to sit indoors. When we requested to sit near the windows, we were told that the four seaters were reserved for parties of four. However, all but one of the four seaters along the row were given to couples. If you are love a good food scene and constantly keep your ear to the ground, you will be well-acquainted with the name of this Japanese restaurant ‘Chotto Matte’. The meaning behind this recognisable Japanese term is actually ‘to wait a moment’ and the people behind this restaurant believe that the food is good enough to deserve a moment’s wait. 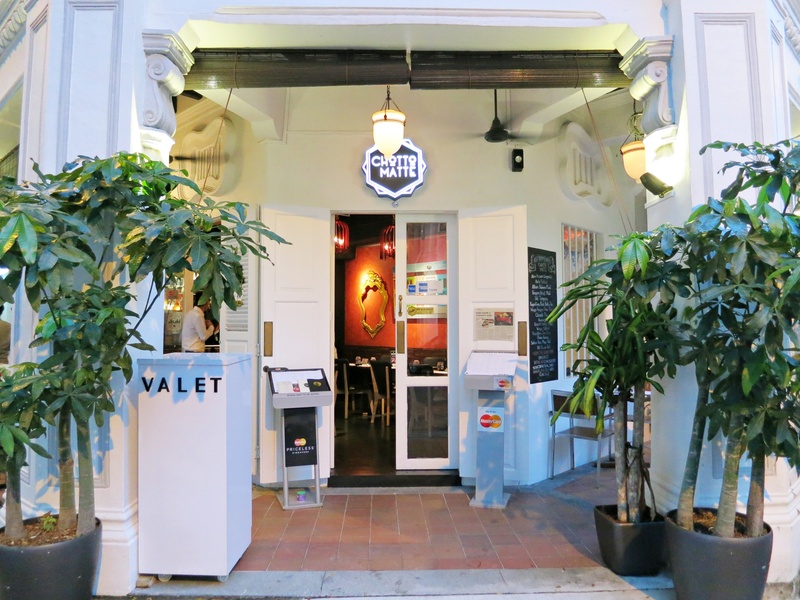 This restaurant, noted for its sushi, sashimi and yakitori, is tucked in one of the shophouses along Blair Road, just a stone’s throw away from the famous cafe Strangers’ Reunion. Backed by its co-owner Jeff Ong who is responsible for Torii, an outstanding yakitori restaurant in Kuala Lumpur, and helmed by Chef Roy Chee, previously Executive Head Chef of Standing Sushi Bar, Chotto Matte presents a comprehensive menu rarely found in Japanese restaurants. With such an endorsement, we looked forward to a well-executed meal of both raw and cooked items.